by Sanlé Sory. Edition of 400. Signed by the photographer Sory Sanlé. 76 folded pages (japanese style), spiral bound. 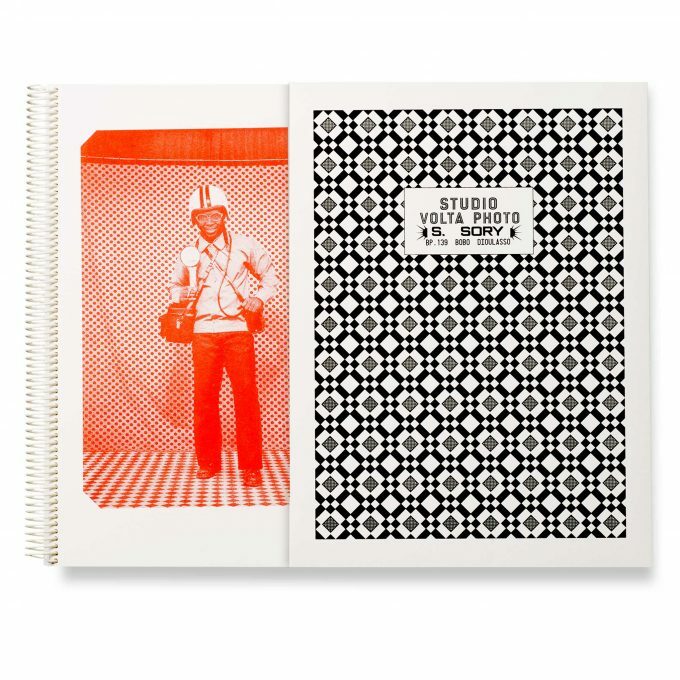 Risograph printed book housed in a silkscreened slipcase. Assembled by hand. 24 x 33 cm (9,44 x 13 in). Editorial concept, design and printing by sébastien Girard. Also available a special edition of 100 with print.